Heavenly will be the start/finish for two stages of the Women's Amgen Tour. South Lake Tahoe will host two stages of this year’s Amgen Tour of California. New for 2015 is the addition of a three-stage women’s race. 14 of the top women’s cycling teams from around the world will compete for the women’s race title. Heavenly Mountain Resort will be the start and finish line for the two Tahoe stages. Stage 1 on Friday, May 8 will be a 74.5 mile clockwise loop around Lake Tahoe. Stage 2 on Saturday, May 9 will be 2 laps on a 25 mile course out Pioneer Trail and through Christmas Valley. 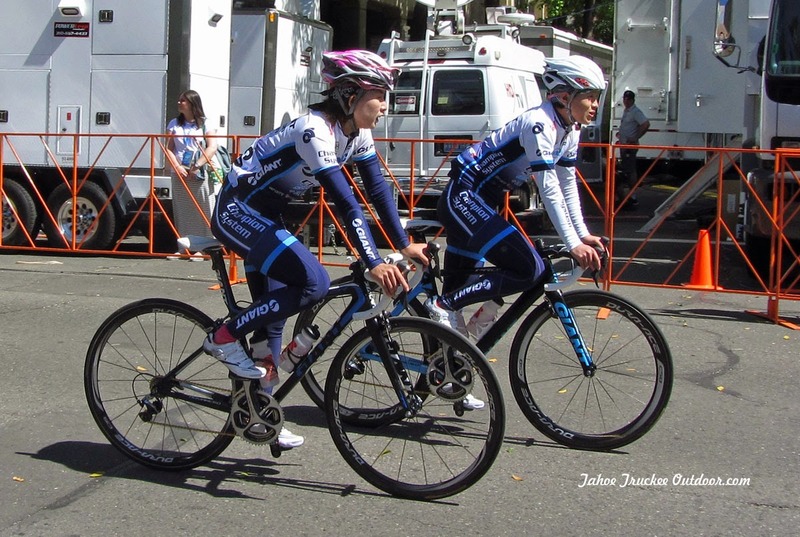 The final stage for the women’s race will take place on Sunday, May 10 in Sacramento. Stage 1 is a popular cycling course around Lake Tahoe used by recreational cyclists and by cycling events such as America’s Most Beautiful Bike Ride. The course has light rolling hills throughout, with major climbs at mile 9 near Emerald Bay and again at mile 55 near Spooner Lake. The total elevation gain is 5,300 feet. Stage 2 goes out Pioneer Trail and along S. Upper Truckee Road. The riders return along Hwy. 89 and back along Pioneer Trail for the climb up Ski Run Boulevard. The total elevation gain for this 49.7 mile 2-loop stage is 3,300 feet.